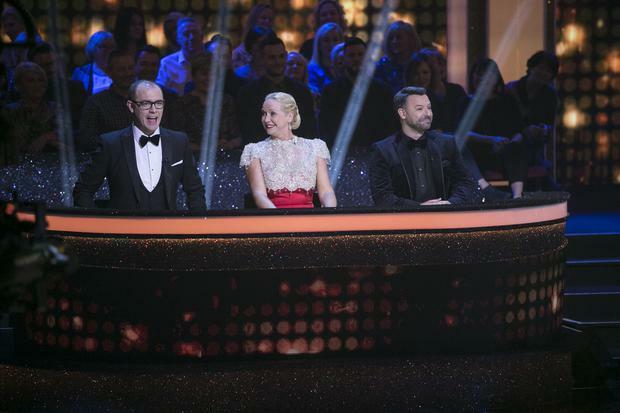 The third series of Dancing with the Stars kicks off on January 6, 2019, and the celebrities confirmed to be on the show are coming thick and fast. On Sunday, radio-turned-TV presenter Mairead Ronan was the first contestant confirmed. Yesterday, another two names were revealed in the form of Winnie McGoogan from Mrs Brown’s Boys (aka actress Eilish O’Carroll) and style sage/presenter extraordinaire, Irish Independent Weekend columnist Darren Kennedy. Formerly Mairead Farrell, the 37-year-old’s showbiz career kicked off in Today FM as part of Ray D’Arcy’s production team. Following Ray’s reunion with RTE back in 2015, Mairead opted to stay with Today FM, producing on The Ian Dempsey Breakfast Show. Since leaving radio in 2017 after a 15-year career, Ronan has become a presenter in her own right, fronting such Irish shows as Ireland’s Fittest Family and Getaways. In addition, Mairead (alongside business partner Debbie Lawless) created Faro, a range of hairstyling brushes. She is also a mum of three and gave birth to her youngest, Bonnie, in August of this year. A TV presenter, columnist, and all-around style influencer, Darren’s 60-second-style videos are renowned on Instagram at this stage. On top of that, the chipper 34-year-old has collaborated with such designers as Louis Copeland and has turned his hand to hosting several events, including London Fashion Week and presiding over The Brit Awards’ red carpet. Clearly an adaptable sort, with a flair for all things showbiz, Darren is sure to rock some sequins, especially if his DWTS PR shot is anything to go by. As you know, pretty much everyone working on Mrs Brown’s Boys is related to Brendan O’Carroll in some shape or form, and Eilish, dear readers, is his sister. 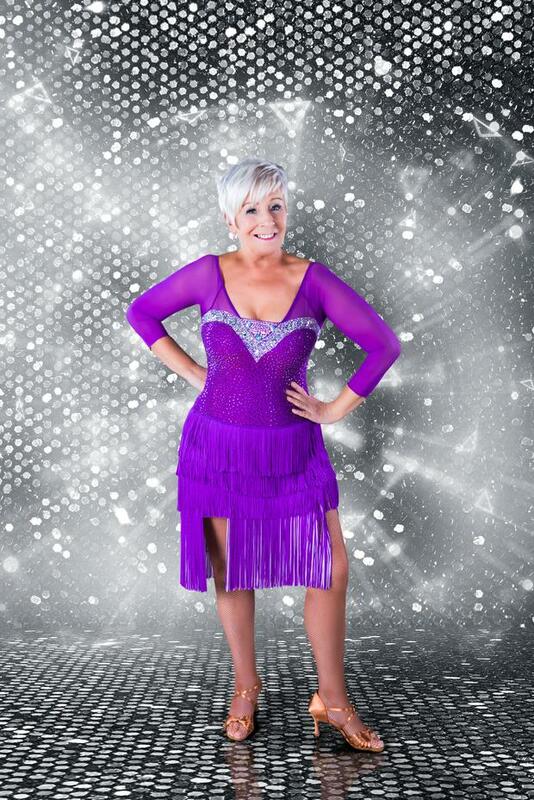 The 66-year-old blonde plays Mrs Brown’s bestie, Winnie McGoogan. Given Eilish partakes in the sitcom’s live shows — for TV and stage — performing live on DWTS shouldn’t phase her in the slightest. “Reality” TV is anything but. In short, it’s a formula. The X Factor was, and always will be, the ‘Demographic Factor’. The contestants that get picked for the live finals aren’t based entirely on talent alone. Call me a cynic, but isn’t it coincidental that there’s usually contestants from each corner of Britain and Ireland? If it was all London-centric, would the rest of Britain and Irelandus even bother tuning in, never mind spending their precious sheckles on voting? Several have graced reality TV shows this year. There’s three on I’m a Celebrity alone, including the now deceased Roxy Mitchell from EastEnders, Alya Nazir from Corrie, and Prince McQueen of Hollyoaks. Previous soap stars who have appeared on Strictly include Kara Tointon, Scot Maslen (Jack Branning), Jake Wood (Max Branning), Davood Ghadami (Kush Kazemi) and Kellie Bright (Linda Carter). Breaking from the EastEnders theme, we also had Georgia May Foote (Katy Armstrong) and Tina O’Brien (Sarah Platt) from Corrie and Gemma Arterton of Emmerdale/Hollyoaks fame. Harry Redknapp is currently going down a storm on I’m a Celebrity. English cricketer Graeme Swann left Strictly last weekend, while Paralympian Lauren Steadman has gone through to next week’s semi-finals. There’s always one, particularly on Strictly. One that you’re rooting for, despite them having little ability and seeming destined to depart after the third week treading the boards. This contestant is just happy to be there and serve the TV show’s needs. Such souls in the past have included Rev Richard Cole, Ruth Langsford, Edwina Currie, Russell Grant, Ann Widdecombe, and — dare I say it — Daniel O’Donnell. Comedians are mandatory, providing both light relief and real moments of darkness. At the time of going to print, Fleur East is still in the jungle. Alexandra Burke and Mollie King both appeared on last year’s Strictly. Here’s looking at you, 2017 I’m a Celeb... contestant Rebekah Vardy (wife of footballer Jamie Vardy). Other examples include Alex Reid on Celebrity Big Brother (ex-husband of Katie Price), and Debbie McGee (widow of Paul Daniels). Made in Chelsea, TOWIE, Love Island, Geordie Shore, and (to a lesser extent) Big Brother — they are absolutely everywhere. Dr Ranj is a paediatric doctor by trade, but has a regular slot on This Morning and has been part of the CBeebies furniture for what seems like decades. 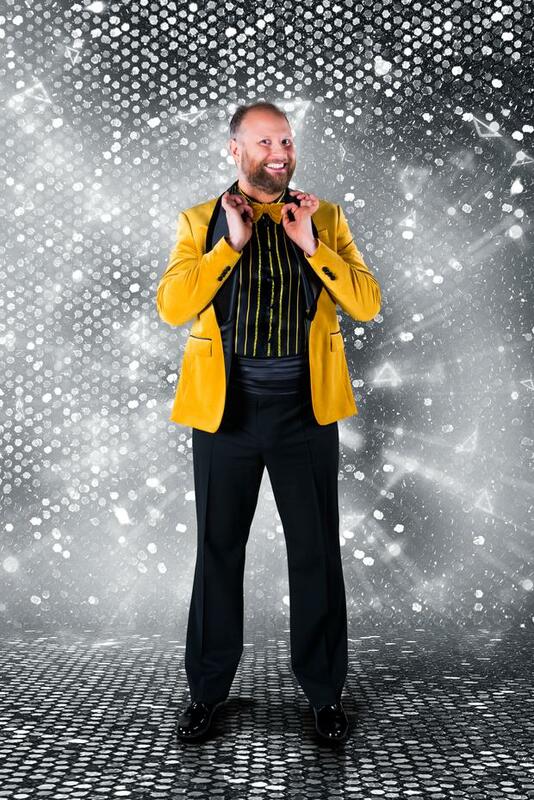 He was the sixth celebrity to leave Strictly this season. While the three confirmed contestants were revealed on Radio One’s Ryan Tubridy Show, and [Holly Carpenter and Fred Cooke] announced on the same show this morning, chances are you’re already aware of the growing line-up while reading this. On the off chance you don’t, why don’t we fill some of the customary contestants in ourselves. Seeing as we already have Mariead Ronan and Darren Kennedy currently filling the position of ‘Arbitrary Presenter’ and Eilish O’Carroll straddling both ‘Loveable Ageing TV Star’ and ‘Actress/Comedian’, who could possibly fill the remaining positions? 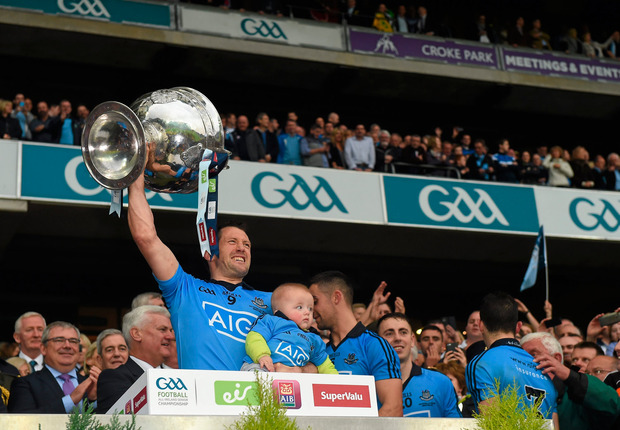 It’s been rumoured that Dublin GAA player, Denis Bastick, is game to throw his hat in the ring for this year’s season. Other possibilities on my wish list include one of the O’Donoghue Brothers, Dervla O’Rourke, and BOD. Well, it is called Dancing with the Stars! Usually, it’s someone from sports or a roving reporter with the news. Personally, I’m willing Daithi O Se to do a turn, but — really, does he need the exposure given he’s on telly pretty much every day. Given they both only appear to have one TV gig a year in the form of the St. Patrick’s Day Parade, my money is on either Blathnaid Ni Chofaigh or Aidan Power. A post previously filled by the lovely Thalia Heffernan in 2017, there was no ‘model’ as such last year. Therefore I’m feeling the full force of Nadia Forde. She’s tried presenting, she’s tried a pop career, appearing on a dancing competition is the natural progression at this point. Should Nadia not be on the cards, we’d say Holly Carpenter is a dead set [she's confirmed]. Why not kill two birds with the one proverbial and give children’s TV presenter/former Six pop starlet Emma O’Driscoll a whirl? Failing that, surely Brian McFadden wouldn’t be adverse, particularly as he’s exhausted most of the UK variations to date. Although his ex-bandmate Nicky is presenting the show... Another possibility includes Shane Lynch or one of his sisters. Hey, they’ve all got the moves. Previous experts who have cast aside their serious hats to shimmy into spangly regalia include Norah Casey and Dr Eva Orsmond... therefore is it not time that someone “expert” in the field of talent spotting appeared on the show? Indeed there is a strong rumour that former X-Factor judge Louis Walsh is set to see how the other half live. 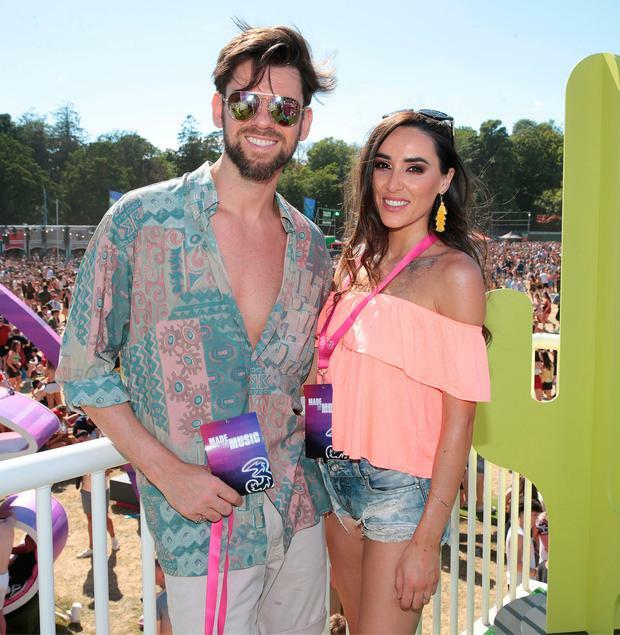 Last year, we had Erin O’Connor, Jake Carter and Maia Dunphy... who’s next, Eoghan McDermott’s girlfriend, Aoife Melia? That or Madeline Mulqueen. True, Madeline is a model, appeared on Rubberbandits’ ‘Horse Outside’, and the Irish version of Come Dine With Me, but she’s currently most famed for being the future Mrs Jack Reynor. While the contestants are still unconfirmed (despite our best efforts) we do know that the judging panel comprising of Brian Redmond, Loraine Barry and Julian Benson remains unchanged. Meanwhile, presenter Nicky Byrne will be teamed with 2FM cohort Jennifer Zamparelli (who is no stranger to reality TV given she owes her career mostly to her stint on the UK version of The Apprentice) after Amanda Byram decided earlier this year that she wouldn’t be returning to host the show. Either way, it’s appointment television for a dank and dark January!